I have since sold these headphones after experiencing much better. These headphones gave me a poor taste of high end audio and ruined my enthusiasm. I preferred the shp9500s to this and akg k712s/612s do what this attempts to do in a more agreeable package. Let's start with the bass. The extension was quite limited and in fact all it was, was a mid bass bump. Instead of feeling the punch of a kickdrum or the reverberance of a bass guitar all you got was a warm blanket of enveloping distorting bass with no physicality. It wasn't controlled enough to feel like a good warm headphone. The lower mids were sucked out, making sounds come across as distant, I'll come onto this in soundstage again, but it's a really poor quality. Listening more closely you notice a lot of the lower mids are smoothed over quite often the seperation between different notes and tones are merged together. Reducing fundamentals to simply a noise, it sounded quite disjointed and didn't feel real. The upper mids are bumped on these which could easily five people the impression that it has got smooth Vocals with presence. However the presence region is inaccurate and ultimately the subtle dip spike causes a significant hazey quality to the sound. The upper mids are where you get a sense for the space from the sound, where the lower mids make up the actual sound. In this case the unevenness leads to a hazey characteristic to the sound as if vocals are pushing through a film of air. It's the equivalent of trying to see something through a fog. This leads into the lower treble where you have a spike in the sibilance region. A common misconception I have seen is that sibilance is solely from the headphone. It's inherent to a lot of vocals and instruments and up to a mastering. What a headphone does is change how forward the sibilance is and the qualities of the sibilance. What the Fidelio x2s do is present them in a forward peaky way. S sounds and cymbals usually have a trailing decay, what the x2s do is push this forward and make it sound sharper than it is. This leads to a peircing quality. Which ultimately makes them very fatiguing and isn't natural. The treble isn't much better. There is an inherent grain to the treble which comes across as constant background noise in almost every song. Even modern songs produced in something like 32bit with no artificial tape hiss have this grainy quality ackin to listening to old satellite tv speakers. Ultimately the upper treble is quite lacking, there is a lack of air to the sound which would make a lot of the problems easier to live with. One thing I notice this is praised about is soundstage. It's reported as wide sounding. My comment on this is that the dip in the midrange makes every sound originate further away than it does. This doesn't do what headphones with good soundstage do and give you a varying sense of depth and width. Sounds either happen for right , far left or right in front of you and a bit forward. Commenting on imaging and layering it's quite poor in this sense. The dt880600ohm,k712pro/612pro and hd6x0 outperform it quite significantly in this characteristic. You get a greater idea of how the sound decays in it's stage, how distant certain sounds are in any of those headphones. The layering is also significantly worse with sounds often merging together and having similar qualities as opposed to what they should do and be different. The overall tonal balance is quite poor and introduces significant colouration. This would be fine if the technical ability was at it's tier, but it isn't. The timbre is quite metallic across the board which indicates an unnatural quality of decay. This review is in reference to it's price point it's not technically capable enough to be considered mid-fi by any stretch of the imagination. I'd even go as far as saying the dt990 is more technically capable with the same v shape tuning and arguably better comfort. If you want a wide sounding Headphone with good imaging the a900x is probably a better option and more agreeable. My main issue with these headphones is that they are priced to compete in a saturated market and don't compete with any of the options currently there. Just got these but couldn't disagree with your review more. I am more than surprised at the sound of these. In all honesty I was very hesitant buying these as I have the DT880 600ohm, K612 & the HE400i. I am running them from a Keces DA-131 DAC into a Keces HA-171 amp and sound is nothing like you mention in your review. I'll continue to evaluate them but right now I'm impressed... listening to some Lee Ritenour tribute to Wes Montgomery. Very surprised at this review. I guess we all have different preferences and hearing abilities, but I love mine. This review won't be too detailed, just a vote of respect for such a fine pair of headphones. 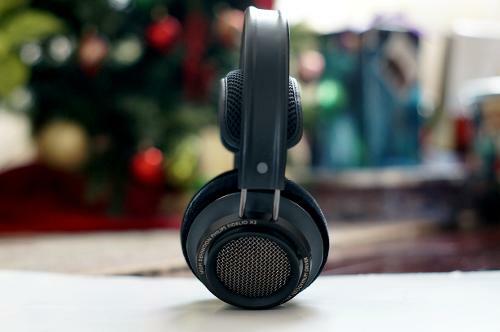 I tend to like warm toned headphones, rather than purely neutral sets, and the Philips Fidelio X2 has met my expectations in its ability to bring some bass into play, while keeping the airiness of open back headphones intact. Sound stage is wide, but not deep with this set, and it has great energy/liveliness to the sound. Though bass is its main claim to fame, the X2 doesn't seem to reach deep into the sub-bass regions, so for pure bass heads, it may not be enough. Its been more than adequate for me, though the mids do recede too much sometimes and the highs are not always well controlled. I find that mediocre recordings or low bitrate streams don't sound good with the X2. Another characteristic of the set is its need for power. Though they'll run from portable devices, or straight from the computer, they don't really shine until I hook them to an amp. Physical construction is first rate, with excellent materials used throughout. I'm not the greatest fan of suspension headbands, but these surprised me with both their comfort and effectiveness. The pads on the X2 are large enough for my oversized ears and comfort levels are very good. I can wear them for several hours at a time with no issues. Overall, I'd certainly recommend them for casual listening, but they are not intended for those looking for ultimate precision and a razor edged analytical presentation. Amuria Iris, gargani and Light - Man like this. Cons - Bass can get a shade wooley at times like many open headphones. At $225, I can't imagine anything better. The build quality would do a $1000 headphone justice. Fit is very comfortable and snuggly on the head. Sound is VERY dynamic and full bodied. Mids are slightly recessed but overall balance very good. Bass is excellent for an open headphone--perhaps excellent period. Light - Man and caenlenfromOCN like this. I've been an audiophile for decades, but only in the last year or two got serious about desktop audio, then headphone audio. 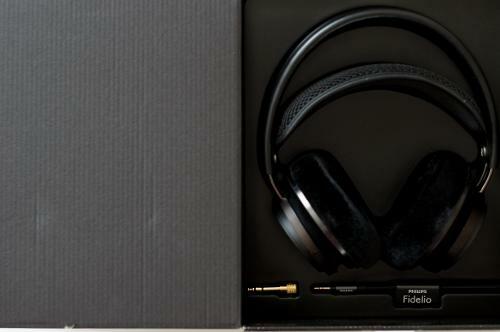 The Fidelio X2's were my 2nd headphones, after the AKG K553's (which I found rather bright & bass-deficient, tho EQ helps). Anyway, the 1st time I listened to the X2's through my FiiO 10K, no EQ, it was the aural equivalent of slipping into a hot-tub...absolutely soothing and perfect. The bass was immediately impressive; the midrange & treble both non-fatiguing, but filled with musical detail. Since then I've run them through 3-4 other HP amps, including some heavyweight gear, and I'm so happy w/how they "scale up." 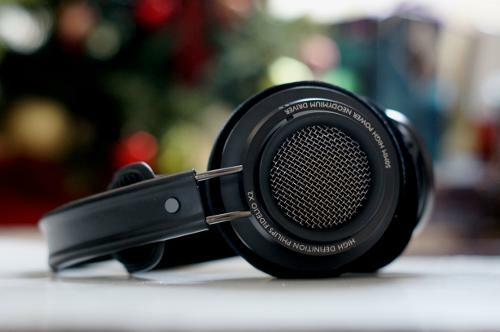 These are terrific headphones--not the last word in resolution, but I don't require that. I need what they give me: great comfort, warm, euphonic, yet accurate sound, and a compelling rendition of whatever music I throw at them. I'm about to get another pair of HPs (ZMF Omni's); but I'd never sell the X2's. Pros - Build, comfort, forward sound, strong and clean bass, just everything! Cons - Sound leakage and isolation, large size, not fashion cans. A short review comparing these to a few other headphones that I own: NAD HP50, Bose QC25, and Sennheiser HD595. Listening via Dragonfly Red and Aune X1s. These are the only headphones I own that will survive a nuclear apocalypse. They're built so well and feel so good in the hand. It's all metal and leather. And then Philips goes and blows my mind with the sound these make. They best all these other headphones that I've mentioned in most ways. See my review of the NAD HP50s for a more detailed comparison. Look, if you want perfect neutrality and a headphone that precisely recreates what the artist recorded, the NAD HP50s or perhaps the Sennheiser HD600s might be closer to the mark. But if you want headphones that just make you groove and bop your head and enjoy your day, buy the X2s. They deserve a place in any collection, especially given the price. These are fun headphones that make even bad music sound good. Seriously, I'm thinking of listening to Spice Girls and One Direction just for the sake of proving this point. There's something to the sound that is hard to define--I could talk about treble and bass and detail and soundstage, and all of those things are good, but they're all pretty good on the HP50s, too, and I don't enjoy my music near so much wearing them as these. That's why you buy them. It's not about an audiophile's breakdown of why these are good or bad. It's simply that you stop worrying about what headphones you're wearing or what DAC you're listening to, and you just enjoy your music and get on with your day. Taishaku, gargani and Light - Man like this. So, I did a lot of reading when it came to this purchase, however, no amount of reviewing can objectively explain what you are actually going to hear when you plug them in - so I said 'screw it!' and purchased my X2's from a retailer overseas for an excellent price (the coupons always get me). It took almost two weeks and my excitement may have adversely affected my opinion, because, I was expecting these to sound a great deal 'better' than my 598s. They don't sound 'better' than my 598s. They are very different, I admit - but I wan't looking for a copy I was looking for an upgrade. They are a little muddy and thumpy, those are the adjectives I have chosen - muddy and thumpy. I am disappointed. These were my first pair of Phillips and most probably, my last. I had to EQ them a great deal to get anywhere near a good sound. For the record, I am not a basshead; I prefer clarity - accurate, unveiled clarity. I am also not a stuffy audiophile who has lost interest in actual music and I want my experience to be fun as well, there is a balance to be achieved. If this is V-shaped, then V-shaped is not for me. I was looking for a side-step to the 650s (purely price related avoidance) but these are not the cans I was looking for. While they are 'fun' and 'musical' they do not achieve clarity and voices are muffled, harmonies are rolled off, and where is the sparkle I was reading about? They are beautiful and the build quality trumps my Senns and my Beyers. I did manage to fall asleep with these monsters on, and that is an accomplishment since they are huge! My only note here is the fact that they are a little heavy and I can feel them fall forward, clamping force leaves something to be desired. For those suggesting that I didn't do enough research, know this, I did months of research - what I didn't get the chance to do was audition...the takeaway here is those of us unfortunate enough to live on the outskirts of civilization are doomed to a cycle of purchase, regret, return. Do not assume that I don't know what I'm talking about. i guess you didn't do enough research..because X2 is known for its bass, im personally getting it for gaming/movies and some techno/dance music. i think the headphone from Philips that would suit your taste would probably be Philips SHP9500, some are comparing it to Senns HD600..and its like 75$ only, you should try that. Try using them exclusively for a week and then trying your other headphones. You need time to adjust to their sound signature, especially if you're coming from something that sounds very different. I own these for almost a year, so I thought they deserve my positive opinion in written form (I wouldn't call it a review). At the beginning I have to make clear I am not a professional audiophile, not even an audiophile. I just like my music in the best possible quality I can get for my money. I like good value for money musical headphones, I want a pair of headphones, that put a smile on my face. I didn't find headphones better for that purpose than X2s so far. Actually I prefer them over HD600 or HE-400s. I like experimental electronica, different types of psychedelic music, downtempo, ambient, etc., so details are quite important for me, so is bass, layering and space. Occasionally I listen to other type of music as well, but this is my main direction. Even though I like HD600 or HE400s for classical or acoustic instrumental music (and vocal) for my purposes X2s blow them away. HD600s have an unmatched midrange, but lack extension in treble and even more in bass. 400s has a better extension, but still sound pale and lifeless compared to X2s with EDM. Choosing between 600s and 400s is personal preference. They are very close in purpose and target group. Balanced, neutral, natural sound. Not too exciting, but realistic and honest. For monitoring or realistic acoustic sound you can't go wrong with any of them. However, if you are into modern music, X2s will give you 3 times more joy than any of the previously mentioned headphones. Bass and soundstage is exceptional. Sound feels full, there is body to it. Mids might feel a tad recessed, but the sound is quite balanced, and you have that awesome bass what you can't find in any other full sized opened headphone. Great bass with not loosing the space of an opened headphone. What a deal for this price! 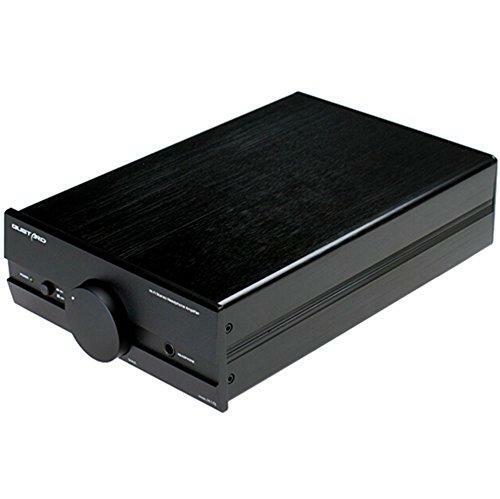 Talking about DACs it does make a big difference, what DAC or headphone amp you use. 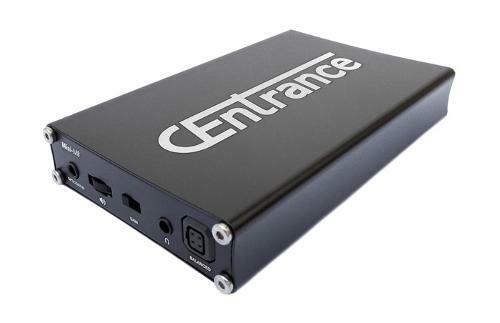 X2s might have low impedance, and sound is quite fine out of phone or laptop, but does benefit a lot from quality DACs and amps. I tried X2s from phone, laptop, tried it with iFi Micro and Nano iCan and Chord Mojo. To me from phone and laptop they sounded pretty bad. From Micro and Nano they were fine, enjoyable, but a bit V shaped. From Mojo however they sound much more balanced. Mids are not anymore in the background, and all frequencies of the music are equally there. Compared to Micro iCan, Mojo made X2s sound almost like a different pair of headphones. In my opinion X2s are easily judged superficially. There is much more potential in them as the average reviewer says. They were made for people who simply want to enjoy their music. Especially if that music is from the last 30 years. These are just great fun. And they do scale good with higher end equipment. peter123 and Saillaw like this. Thanks for the review. I share many of your comments and think the X2 are a fantastic value. I also wanted to add that the comfort and light weight of the X2, along with its spaciousness and sound profile also make it a superb gaming headphone. I can wear it for hours and have often forgotten I am wearing them (bad for my DAC when I stand-up to go get a snack). Well written review, great read. And that bit about the scaling up with Mojo is great to hear, as I had also listened through iCan Micro, but not found a huge difference from my E12A. Nowadays I'm using SPDIF out from my FiiO X3 (1st gen) to an iBasso D14, and find this to be a very good pairing. 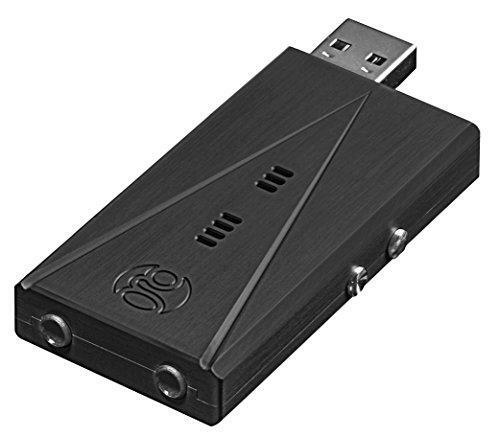 My best experience using the X2 was directly out of the FiiO X7 (had AM1 amp module). I sure hope to try out the Mojo pairing soon. Fun and colored - flavor of the year? This is one popular set of headphones in 2016 pretty much everywhere. The X2 have often been compared to the top-class models of "mid-fi" headphones (Sennheiser HD600, HD650 etc. ), but I must say, they don't quite get to that level in pure sound quality. I listen to lots of rock, metal, punk, hip-hop and pop. I tested these through my iPod and Apogee Duet (DAC) -> Schiit Lyr 2.. These are clearly a very sturdy pair of headphones, I'm sure the structure lasts a long while. My pair is made by Woox in China. There have been reported problems concerning build quality with some people, but I've had none. They are heavier than normal over-ear models, quite large too. The outer headband sticks out in a very funny looking way out of ones head - especially if you have a small head. All in all, these are a very well made pair in my opinion. The comfort is only ok, my HD600, DT770 and D2000 do much better here. First, the earpads have some nice & classy feeling velour, but they are quite stiff and hard. Maybe they get better, we'll see. The Sennheiser & Beyerdynamic pads are both much softer. The earpad opening is easily large enough for my ears, though. Clamping force is pretty much just right for me. These velour pads seem to be magnets for dirt, hair and all that. I have a pretty big melon, so these tend to slide very slowly upwards because of that springy headband. I prefer the clicking-type of mechanism, they just stay still - you set it once and enjoy. Overall, the headband is very soft & comfortable, this is just not my favorite design. Ok, here's where I start to find some real problems. (No matter the claims to the contrary) this IS a V-shaped headphone, at least when talking about bass & mids (and higher treblies) - the mid-frequencies take a back seat. To me, they sound too laid back and soft. There is this one four letter word excellent for describing the lacking ingredient: BITE. This is best heard in my case when listening to some awesomely produced rock-guitars (like some old-school AC/DC), they sound soft and often overwhelmed by that big bass. The same goes for vocals, in my opinion. They are not very easily discerned or upfront by any means. So yeah, the mids are not the reason you should pick this pair up. Damn it! It has to be said - this the real problem-area for Fidelio X2 concerning good fidelity. The high frequencies are very colored. There's much talk about the term... "Colored" headphones can be very good & fun, but when they take away from an instruments own character in a drastic way like these do, I'd have to say they've gone too far. These have a nice sense of space (sound-stage), but it's kind of futile when the resolution and balance are so off. There's this large boost in the higher ranges of highs (approximately 10khz), but it's too high to affect the fundamentals of vocals, guitars, piano and other central instruments in music. Without that boost, these would be some seriously dark headphones... Below the boost, the X2's are very low in treble energy. The highs end up sounding very soft and non-offensive to my ears. The crunch of a great distorted guitar track or a crack of a brilliant snare track are pretty much lost with this pair. And this, to me, is a big problem. This is all subjective of course, but I find Philips went too far skewing the frequency response of this one in the highs especially. Remember, I said these Fidelios were compared to the Sennheiser HD600 and HD650? Hah, that's just silly, in my opinion - these are nothing like 'em (especially the "neutral kings" HD600)! 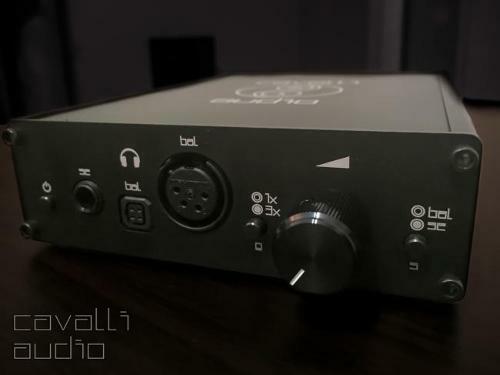 When talking about the HD6x0-series, the mids come up very early in the discussion. Those two are very often used for audio production because of their awesome neutrality (in the world of headphones, at least). X2 on the other hand are all about fun and colored - it's just a very different mindset that's behind the Philips-model. So, don't expect to hear instruments like they are in your space of choice - expect a strong coloration that allows you to listen to music at quite highs volumes. Soft, softer, "X2 below 10K". Denon AH-D2000 (made by Fostex) are way more comfy with super-soft faux-leather pads and close to no clamping force on the head. They are not as well made though, I feel they're much more fragile in design (are the new Fostex models better in that way? Please tell!) Biggest difference are the highs that have some great crunch & crack - no softness to be found! Mids are kind of laid back on these too - they are V-shaped. Sound-stage is pretty much on par, in my opinion (even though, the Denon's are closed back, kind of). Bass is boosted too, but it's more resolving in my opinion and they go lower into sub-territories. These sound quite alright straight from my iPod. They are very efficient. There was a very slight difference when plugging into my Schiit Lyr 2 amp, but the differences were very subtle, to say the least. Your measly amp should do them justice - if your not sure, spend some 100 bucks and be happy with 'em. WHAT WOULD I PAY FOR THEM? No way, they are way too colored for that price. Both of the Senns should be found for this kind of money. Some more nice ones I've tried: NAD Viso HP50 (weird looks, pretty flat sonics), Focal Spirit Pro (weird fit for some, neutral & very closed), Beyer DT880 (bright and quite neutral).... Even that fun-factor doesn't match my (240 euro) D2000. Fostex TH600 or used THX00 could be found for less.. Fidelio X2 are nice for people coming from very bassy/colored cans, like Beats - people that haven't heard better. Sure, that's pretty much what I paid for them. If you like this kind of sound signature: big bass with sound stage. Go for it! 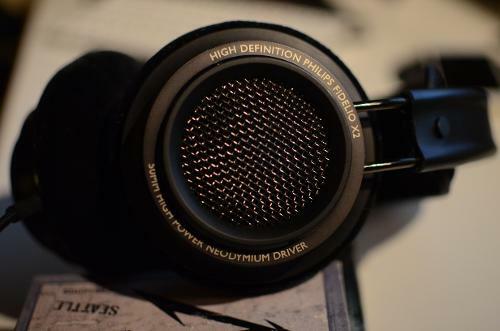 But, I still prefer my Beyerdynamic DT770 80-ohm - the sound signature is surprisingly similar! Here are some more headphone, guitars, effects and amps reviews from Yours Truly! I am affiliated with no one, I do these reviews for my own amusement, maybe your's too! gargani and bigbenrfan99 like this. Well, which model rectifies this for you? Of what I have owned, the K712, T90, T1, HD700 (somewhat), SR325is, PFE232, and GR10 have not had this problem to my ears. I'm obviously a fan of bright headphones, though. Mind to ask about the bass. I own this one. Also listen to dt990 pro. To me, dt990 pro has more punchy bass. Yet, X2 to me gives more neutrality. Bass is reasonable but NO NO situation when it comes to modern bass, EDM stuff. BASS, and yet not useless in other frequencies! Pros - BASS, build quality, overall package. Cons - pads a bit stiff, a bit clampy. This particular pair of X2 appear to have glue only on the pegs, not anywhere else. Sound like all other good X2. So I get the box in the mail, and upon first inspection I notice that you might have to run over these with a car to destroy them. Plenty of metal to go around. Looks: I like the look, though they do portray a bit of a horn shape, which is kinda frowny-face. They look good overall though. Build: Holy crap these are tough. the construction is solid. They are kinda heavy as a result. The removable cable feature is wonderful, and the included cable is Fantastic; one of the best cables I have ever seen. If you want you can use a V-moda BoomPro with the Fidelio X2 (a fantastic mic btw). The headband uses the suspension system I am not usually much of a fan of, but Philips does it the right way, making it solid enough that I am not worried about movement, padding, or anything else I usually associate with suspended designs. The pads on the earcups are kinda hard, but somehow are still nice enough not to complain much about. The comfort surpassed my expectations. As you see, the X2 in on the bottom for cleanliness. This is immediately apparent when putting these on. I was not impressed by the clarity at all. I couldn't believe it. I was feeling mislead. I took them downstairs and asked a nice woman to try them out, and she plugged them straight into her iphone (didn't care much for the dac/amp). She picked a song, listened for 20 seconds then smiled and put the headphone on my head. The key to the puzzle is bass. This is the song she played. I instantly understood why these are so popular. The sheer quality of the bass tones these produce is fantastic. If I made a Bass list, these would be first for both volume and quality (dynamic open headphones). I simply said "wow" with wide open eyes, proceeded to let her enjoy them for a while, then went back upstairs and drooled everywhere as every dubstep song on the planet was funneled into my ears. The goal is not accuracy, it is sheer enjoyment, and the Fidelio X2 do this in style. I still am not convinced the soundstage is much. It sounds kinda wide, but there is no foward/back depth. I have a hard time comparing there to anything else I own. The closest thing I have owned is a cheap pair of earbuds with were bass mongers. Clearly the Fidelio X2 blows those to another galaxy. Now, this has been a topic many have wondered, and discussed: the SHP9500 vs the Fidelio X2. This is like comparing apples and oranges. The SHP9500 is neutral with very good clarity, and thinner bass. The Fidelio X2 is one heck of a bassy pleasure can. Is the Fidelio X2 worth the price increase? This is not the right question to ask. The Fidelio X2 is in no way an "upgrade of the SHP9500" They are completely different. 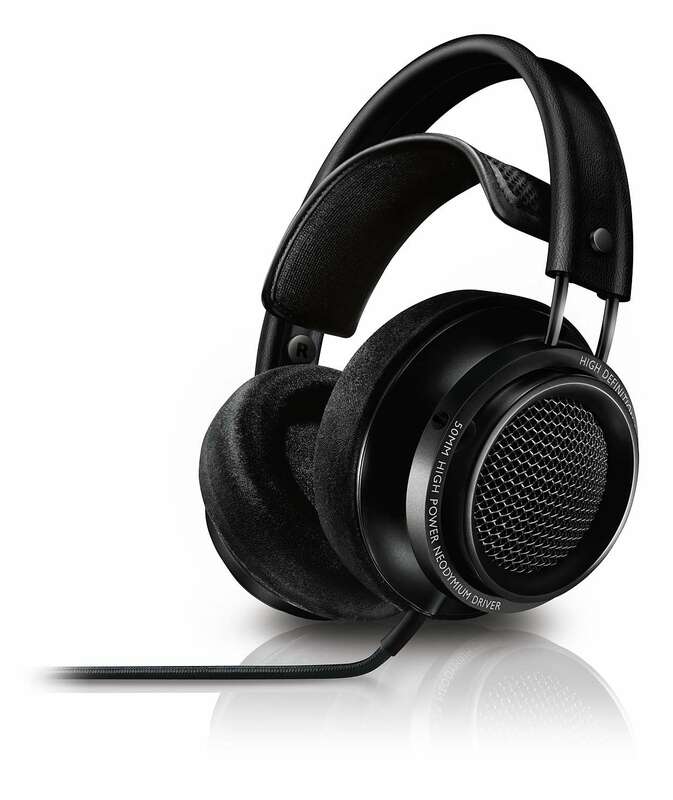 The other comparison others might mention is the Fidelio X2 vs the K7XX. This is more fair than comparing the X2 to the SHP9500, but still not quite fair. The K7XX is far cleaner, and more toward the analytic side of the equation. I don't know If I could pick between the two, but I would have to give the overall sound quality edge to the K7XX. 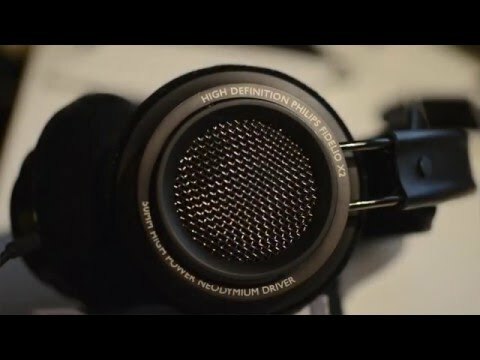 I think most will find the K7XX boring in comparison to the Fidelio X2, but I prefer the sound of the K7XX personally. Conclusion: If you like open back, but miss your bass: buy these. If you like your bass, but think you will miss your vocals, these might not be for you. If you like thin analytic sound a lot, go elsewhere. I recommend these with the caution above. If there is anything else you guys want, please feel free to comment, and I will update the review accordingly. One more thing to note would be that I don't find the vocals to be very forward in the X2. I find them to be roomy, but recessed. Well i might still get the x2 for another fun headphone. I dont tknow if my perfect headphone exists and im down on eqing right now so the hunt continues. 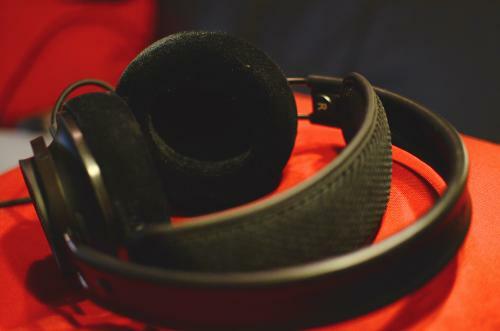 TL;DR: The X2 is a good V-shaped headphone. It’s not very good if you are looking for something neutral. This review was hard to write impartially because I don’t like V-shaped sound—I like an n-shaped sound, which emphasizes midrange. At around $200, I can’t really think of another headphone that outright beats it. At the current sub-$200 prices on Amazon Warehouse Deals, they’re a very good deal. They’re a relatively inoffensive-sounding headphone unless you’re especially sensitive to treble. I’d imagine they’re fantastic as gaming headphones if your situation allows for open headphones. But I’ve since sold them because to me, the HD600 is a step up to my preferences. Honestly, if it were my money, I wouldn’t buy the X2 at any price because the midrange is just distant enough for me to not enjoy them. Sometimes, the hype phenomenon so prevalent in hobbies creates a “halo status” for some products which leads to expectations that are impossible to meet. The Philips Fidelio X2 is one such product. It had received extremely positive reviews from professionals and which led to many people purchasing it and equally praising it, leading to a hype train with seemingly no stop in sight. There’s nothing inherently wrong with a hype train, but when people with no experience purchase a product and try to convince others to buy the same product even though their needs don’t match the needs of the recommender, thereby wasting the recommendee’s money when they are inevitably disappointed, does not sit well with me. A similar phenomenon occurred with the Audio Technica M50. It, to my ears and having owned one, is a mediocre headphone; I understand its appeal in being a relatively low-priced closed headphone with a V-shaped signature, but I’d started to notice people with little to no experience with other headphones telling others that the M50 is the only good option. Those people then bought the M50 on recommendation and since the M50 was their only reference for “good sound,” they praised the M50 to no end, furthering the cycle. The X2 is currently in a similar place. This review has basic explanations in case newbies happen to wander into this review. The X2 has been a very controversial headphone lately, starting with the transition from easily removable pads to glued-on pads. One of the original grips of the Fidelio X1 is that their pads were not removable. X2, much to the rejoice of audiophiles searching an open V-shaped headphone, has easily replaceable pads—now people are able to use their X2’s for generations knowing that they will never have to deal with flat, unusable pads for as long as Philips decided to sell replacements. The system is not ideal though; the X2 uses a proprietary pegged system, unlike headphones like the Fostex T50RP and Beyerdynamic series, so other companies’ pads like Alpha/ZMF pads are not a direct fit. There have also been reports of the glued pads sounding worse than the non-glued pads. I cannot support this theory as the X2 I own with glued pads sounds similar to, if not exactly the same as, another pair without glued pads I’d heard out of an Audio-GD Master 11. There is also the controversy of the transition from being WOOX-made to Gibson-made leading to the X2 to be made more cheaply out of worse materials. Since my X2 is not Gibson-made, I cannot comment on the sound difference, but I can insert my two cents on the matter: the WOOX acquisition by Gibson completed in June of 2014. The release of the X2 was around September of 2014. Gibson likely had no input on the release of the X2 as it had almost assuredly been past the prototyping stage by the time of the acquisition, so the initial production is completely WOOX-made. However, “Gibson” pairs with different pads may have been created due to Gibson’s input to cut costs. But it is more likely the pairs with the alternate pads were created due to an error in ordering the pads. The sudden change in material is troubling, but the cost to convert their entire X2 production to different pads likely is not fiscally sensible; so I theorize that the change in pads is a production error rather than a production shift. But, as always, I could be wrong and I will apologize for spreading false information. The Fidelio X2 comes in a presentable two part cardboard box. It’s nothing particularly special. 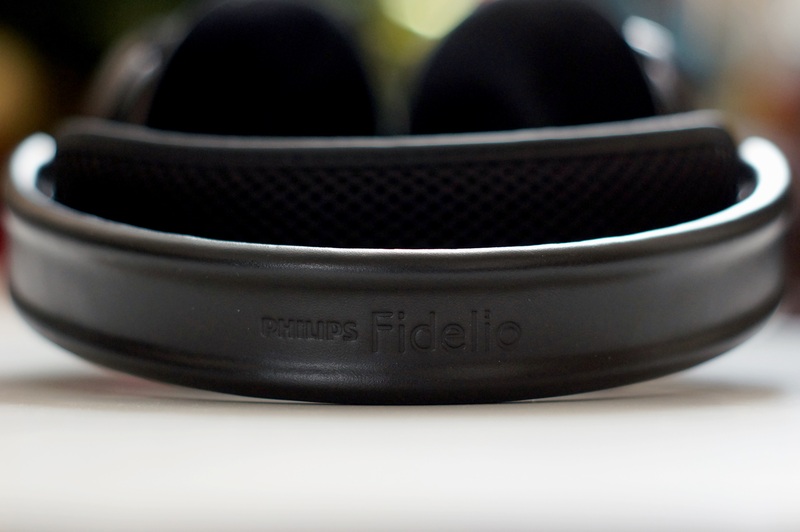 Under the first pretty sleeve is a plain black box with “Philips Fidelio” engraved. Open the flap, and you are greeted by the X2 and its cable. It’s a simple packaging—nice enough to be presentable but not so nice that the cost of packaging is a significant portion of the headphone’s selling price. Inside the package are the X2, a 3m cable, a generic 3.5mm to 6.3mm adapter, and attached to the cable, a nifty cable manager. The X2’s physical build is great for its price point. It features a leather covered metal headband, metal cups, and metal gimbals. Compared to the mostly plastic Sennheiser HD650, the X2 feels much more substantial. 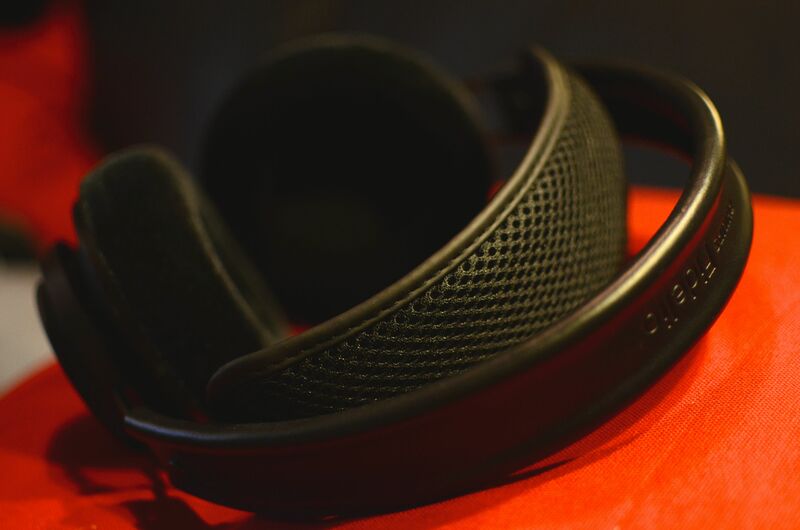 The adjustable portion of the headband is a mesh padding that seems more at home in a camera bag shoulder strap than a headphone, but it has proven to be very comfortable. I am concerned about the durability of the elastic system. As I’ve seen in myriad AKG headphones, once the elastic system eventually becomes too loose, the headphones will be too loose to reliably stay on your head. The X2’s pads are made of somewhat hard memory foam covered in velour. The pads were made to be replaceable, but evidently, the newer pairs such as mine have been glued on. It’s not very difficult to remove the glued on pads with enough care or use of a hair dryer, but it would obviously have been ideal to not have any glue at all. Unlike some others, I never had the ink bleeding problem with the X2 pads. The basic sound signature of the X2 is a V-shape. They have elevated bass and elevated treble with a slightly recessed midrange. There are reports of the X2 sounding “neutral” but I strongly disagree. There’s nothing inherently wrong with the X2 sounding V-shaped; it just classifies it as a specialty headphone. V-shaped headphones work especially well for movies, bass-heavy music, and in some cases, gaming. They don’t sound particularly great for music such as folk or other genres that don’t emphasize bass. The X2’s bass, as mentioned earlier, is elevated. Many consumer headphones have elevated bass because most pop music is biased to sound more fun with bass heavy headphones. The X2 shines with such music, which I believe makes the X2 a good choice for those that only listen to EDM or pop. However, the X2’s bass is slightly loose, which means that individual bass notes are muddled together. If you can’t imagine what that sounds like, imagine individual bass drum beats. They should sound separate. On the X2, the notes bleed into each other, which is a trait that isn’t necessarily uncommon. The HD600 also exhibits this trait. The X2’s midrange is its weakest trait. Compared to its bass and treble, the midrange is pushed back. What this means is that the vocals and instruments sound slightly farther away than normal. This isn’t necessarily bad; some people may prefer it. A recessed midrange allows for some bass-driven music to sound more “fun” with a more dominant beat over the vocals or other instruments. The downside is that the X2 would not be my first choice for acoustic music, where the low string notes may be louder than the vocals, which may be distracting. Midrange tone sounded slightly unnatural; it sounded a little tuned downwards. It’s not something immediately noticeable, but compared to some other headphones, it falters in this aspect. The X2’s treble is strange; it is rolled off in the extremes, which means the highest notes were recessed, but there are a few treble peaks, most notably at 9-10kHz, that I found mildly uncomfortable. I found myself fatigued after using the X2 for only about two hours. But the first thing I noticed is a huge void from 6kHz to around 7 or 8kHz that created a strange hollow effect for me. I thought I would be able to get used to the sound, but after two weeks, I was never able to break the three hour mark with them. I believe was the combination of the rolled off treble and peak that fatigued me most. The X2’s soundstage was relatively large compared to most closed headphones, but it’s relatively closed-sounding compared to the K7XX. However, I hear a more fleshed out soundstage than the HD600/HD650’s “three bubble soundstage” that has distinct areas at 0, 90, and 180 degrees, but small voids in between. The AKG K7XX sounds like a compromise. I have owned the K701, K702, and Q701 (don’t ask, I wanted to know if they each sounded different) and they all have a bright, massive sound. They lacked a little in bass and midrange, but they made up for it by projecting a wide scape for your music. However, this, combined with the fake-sounding hyped upper midrange led to a polarizing headphone. The K702 Anniversary and K712 were released to create a warmer, more consumer-friendly headphone. Massdrop collaborated with AKG to release the K7XX, which is a version of the K702 Anniversary available for the bargain price of $199, which was less than half the price of the K702 Anniversary at its release. The K7XX retains most of the wide stage, but also increased bass and midrange and decreased treble. The K7XX works for more music than the original K701, which makes the K7XX a compelling option for many. The X2 and K7XX are not as different as one may expect. They both have slightly rolled off treble, mildly recessed midrange, and accentuated bass. But the X2 takes more extremes. The X2 is bassier, has spikier treble, and has less midrange. It works much better for EDM than the K7XX as it’s a much more fun-sounding headphone than the K7XX, which is the headphone equivalent to carbonated water. However, the K7XX is overall more pleasing to listen to with music with vocals or instruments. The X2 has one distinct advantage over the K7XX—it does not need a dedicated headphone amplifier. Despite what the specifications say, the K7XX noticeably improves, especially in its bass, when used with an amplifier. The X2 sounds just fine without one. The Beyerdynamic DT880 and DT990 are staples in the mid-priced headphone market. The DT880 is known for its neutrality and the DT990 is known for its fun V-shaped sound. The DT880 has a mild u-shape with forward treble, slightly recessed midrange, and neutral to slightly elevated bass. I personally dislike it because it sounds boring—for some reason, I never felt like I was listening to music when I owned the DT880, twice. I bought and sold the 250ohm and 600ohm versions. 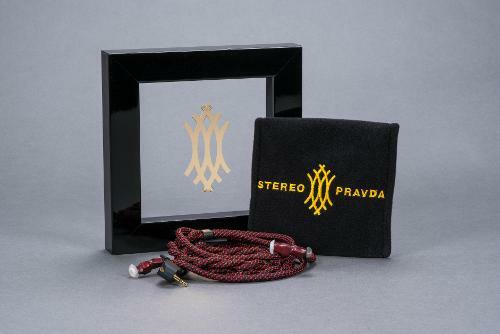 The 600ohm version had more refined treble and tightened bass, but the differences were not immediately noticeable. The DT990 (disclaimer, I’ve only tried the Pro, and I cannot emphasize enough that my impressions of the DT990 are that of a demo, not owning it, unlike with the other headphones I am comparing to the X2) is significantly brighter, with less midrange and more bass, than the DT880. The X2 is an in between step between the Beyers in all aspects. If you have tried both and dislike both, the X2 might be a good choice. This section is admittedly short because I haven’t owned either headphone in at least two years, so I’m relying on auditory memory and don’t want to give too many specifics. I do know that the DT880 and DT990 benefit from an amp. Comparing the X2 to these headphones is a bit unfair as the street price of the X2 at the time of the review is significantly lower than the Sennheisers. One can purchase an X2 from the Amazon Warehouse Deals (if you don’t mind very lightly used) for as low as $150 whereas the HD600 from the same seller is 299, but the HD600 and HD650 are staples in the mid-priced market. The HD600 was released in 1997—almost two decades ago and is still widely considered among the best headphones at any price. The HD650 is relatively modern, released in 2003, but is held in equally high regard. The HD600 is neutral, for the most part. It has slightly aggressive upper mids, a mild bump in its mid bass, and slightly rolled off upper treble, but considering the alternatives, it is a very impressive-sounding headphone. The HD650 is like the HD600 if you gave it more bass, added some midrange, and toned down the treble even more. The result is an incredibly relaxing headphone. The X2 is more similar to the HD650 with its elevated bass than the HD600. All three headphones have slightly muddy bass, but the X2’s bass is more intrusive in the midrange than the Sennheisers. Both the HD600 and HD650 have distinctly better midrange than the X2. The Sennheisers are also more detailed in the upper end than the X2. The only advantages I believe the X2 has over the HD600 and HD650 are its more energetic sound, more filled in the soundstage, and lack of necessity for an amp. However, like I said, the X2 is significantly cheaper than the HD600 and HD650, at least at this point in time. If they were priced equally, I would only recommend the X2 to someone that also plans on gaming with their headphone or has no interest in buying an amp. The Philips Fidelio X2 occupies an interesting space in the open mid-priced headphone market. They have a V-shaped sound signature, which, other than the DT990, is a bit of an anomaly and they have no need for an amplifier. I wholeheartedly recommend the X2 to people that want a premium headphone to listen to EDM or other bass heavy music, especially if they have no interest in buying an amplifier. I also conditionally recommend it to people who want a headphone for gaming and want elevated bass. The X2 would even work well for people coming from other bassy headphones like Beats, as the X2 will sound like a direct upgrade as opposed to recommending a bass-light headphone like the K701, which will sound anemic compared to what they already have. But I find it hard to recommend over the K7XX or Q701 for people who are open to the idea of buying an amplifier in the future or listen to midrange-heavy music. The X2 was created for “consumer” music which happens to be bass heavy so it shines with that music. The X2 will be tolerable with other music, but if you’re spending $200-$300 on a headphone, you want more than tolerable. You want great. The X2 simply doesn’t deliver when compared to other options. Taisser Roots, KrusherSHPX, econaut and 8 others like this. Just you said that hd600 has slightly aggressive upper mids, i realized you have same favor as mine. And totally agree with your a great honest review. you seem to have a much different view of x2 compared to others. Its you against alot of other people who love them. I believe them. Mine came this morning, and that was exactly the first impression I got from the X2s. I think they're good, and I would have loved them If I had nothing to compare it with. People always speak about the bass of the X2, yeah but you can find better bass elsewhere. The mids are clearly recessed (compare to HD600, SHP9500, etc) and for the highs.. meh. I'm not saying they're bad, not at all. I like them, but not as much as I would want to for that price. So basically what I'm saying is.. they're not as good as you read they are here on Head-fi, at least for me. Cause of course everyone has their own preferences. Also I'm well aware that just one day isn't enough to judge a headphone so I'll be testing them more, but gotta say, the hype was big, like really BIG, and for now i'm disappointed. But I hope that will change, really want to love these cans, I'll be testing them more. Cons - Memoryfoam eardpads a little hard, hangs from the head slightly akwardly due to no adjustment. Well, opening the box, I had set my expectations aside. But boy does the build quality impress: rock solid, tank like cans, yet not heavy. Now I became nervous, what if Philiphs had poured all the budget into build quality, and not sound? I plugged them into my amp, put my complex Arjen A. Lucassen "Starchild" track on which all my headphones are measured against, and they did not faulter. Instruments had their own place, all the specialties of Arjens instruments could be heard, and coming to the heavy space parts, it was very deep and rich for an openback. Here some few closed backs and planars will pull ahead, but no other midfi dynamic will do that. The extremely powerful singing of the few elite, could be heard clearly and naturally. Impressive. Trebles were detailed, and lack the grain most people are on about. Trebles are clear compared to sennheisers HD600 slightly veiled ones. Due to the scoop in the treble range of what I remeber is about 6hz, there is no resonance in ear for me, which means these needed no further equlization out of box. Mids are mids though, they are good and impressive for the price, but nothing I notice or praise, they are just too well balanced.